I can’t imagine a world without Nutella. I love it. My kids love it. Heck, even my Grandma loves it. But I do not understand how people eat it as a sandwich for lunch. Guys, it’s not lunch. There’s really nothing nutritional about a plain piece of bread with Nutella on it. Wait, peanut butter and jam is pretty much the same thing isn’t it. Dang. Well, I still feel guilty eating it for lunch. I do not however feel guilty about eating it for dessert. 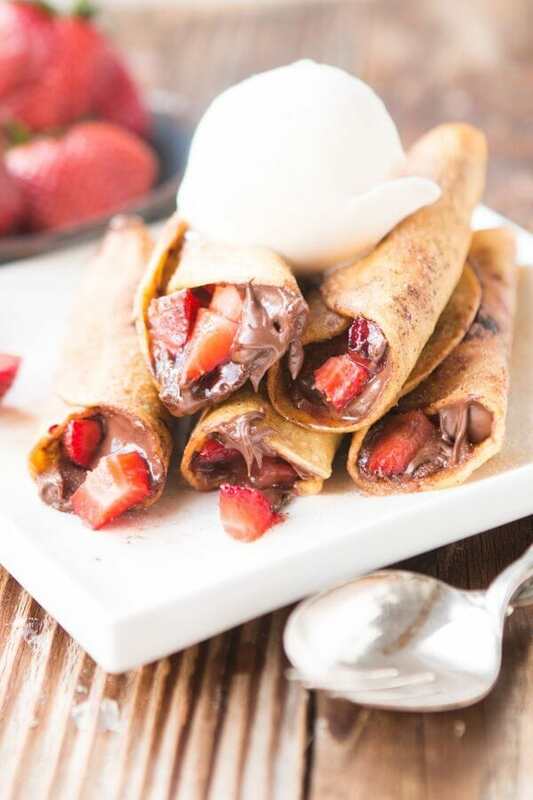 Like these Nutella Strawberry Taquitos. 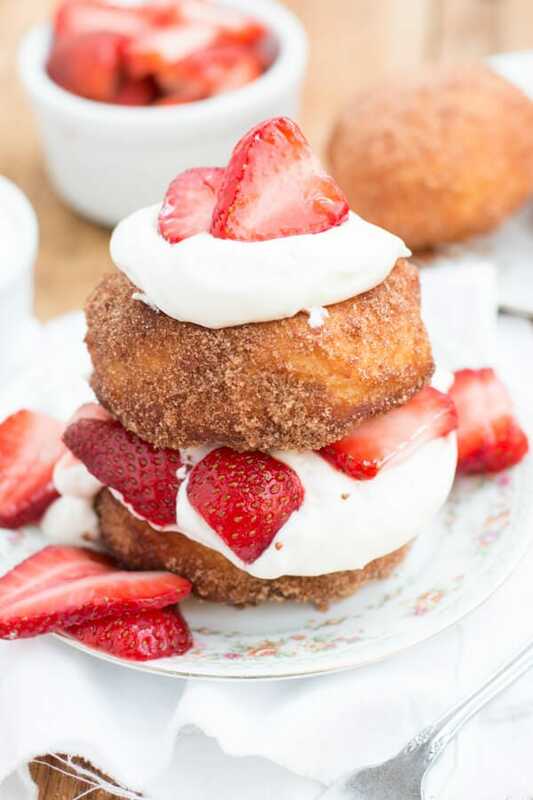 They are fried, rolled in gobs of cinnamon sugar and eaten with a big ol’ scoop of ice cream. It kind of tastes like a chocolate strawberry fried ice cream thingy. Mmmmm, fried ice cream. I wish that wasn’t such a hassle to make because boy is it delicious. And yes, I did let the girls eat these as soon as they came home from school, but it was past lunch so technically it was ok to do. Can Taquitos be Made With Both Corn and Flour Tortillas? Taquitos are usually made with flour tortillas, but they can be made with corn tortillas if you choose. Nutella is a sweetened palm oil spread with hazelnut and cocoa flavoring. Place the cinnamon sugar into an 8×9″ baking dish. Heat a nonstick skillet over medium heat and fill with 1/4″ of oil. In another nonstick pan over medium high heat, heat the tortillas on both sides until pliable. 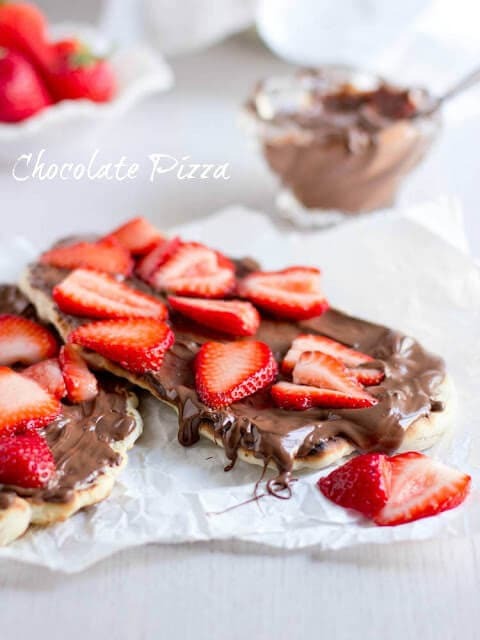 Quickly spread the nutella all over the tortilla and fill with the strawberries. 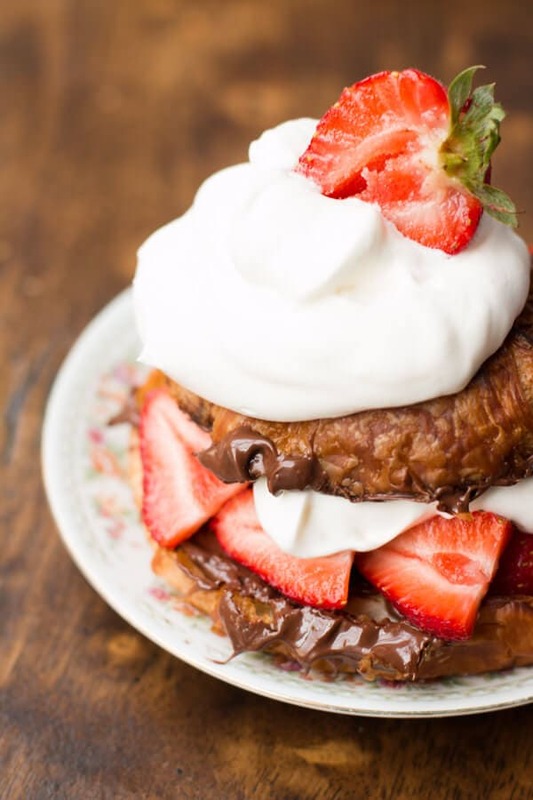 Do not allow the strawberries or nutella too close to the ends as they will spill out during frying. Roll up the tortilla and place 3-4 in the pan at a time, quickly frying on each side until golden and then quickly into the cinnamon sugar. 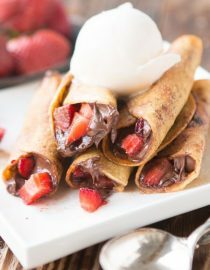 I love making taquitos and yet it somehow never dawned on me to make a dessert version. So in love. Thank you! The older I get the more of a Mexican food lover I become so there had to be a sweet twist on our favorite taquitos! 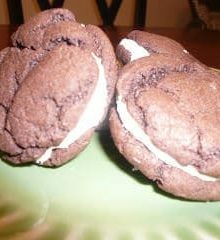 I’m just sitting here enjoying my morning coffee, and I think that these should be on a plate in front of me! 🙂 They look so good! I wish I could deliver! 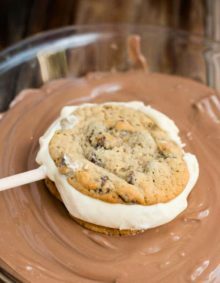 What a perfect sweet treat!! Nutella always makes things delicious!! Hello there! I actually just found you through Instagram when searching for fellow Hyperemesis mommies. Anyway, I just read through a ton of your posts, including your most recent one about slowly feeling better, and you have really helped me on a day that I needed it. I am 8 weeks with my second baby. Nobody truly understands HG unless you or your loved one suffered from it so I just wanted to say thank you for bringing awareness to such a debilitating condition!!! Thank you for staying positive when it is the hardest thing to do. And thank you for sharing your world and struggle with the rest of us. You have found a blog follower in me! 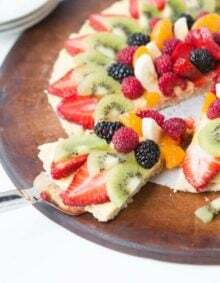 Not to mention, when I can finally stand to swallow a bite of food or drink, I will be hitting up these scrumptious recipes weekly, I am sure!! Oh, I so feel for you!! I know you can do this though. There is always an inner strength that comes just when you need it. I will be adding you to my prayers in the meantime and you email me anytime if you just need to say “THIS IS THE WORST!”. I totally get it and it will be worth it. You aren’t alone. Love from our whole family to yours!!! I totally feel ya.. no nutella sandwiches for us either!! But these?! 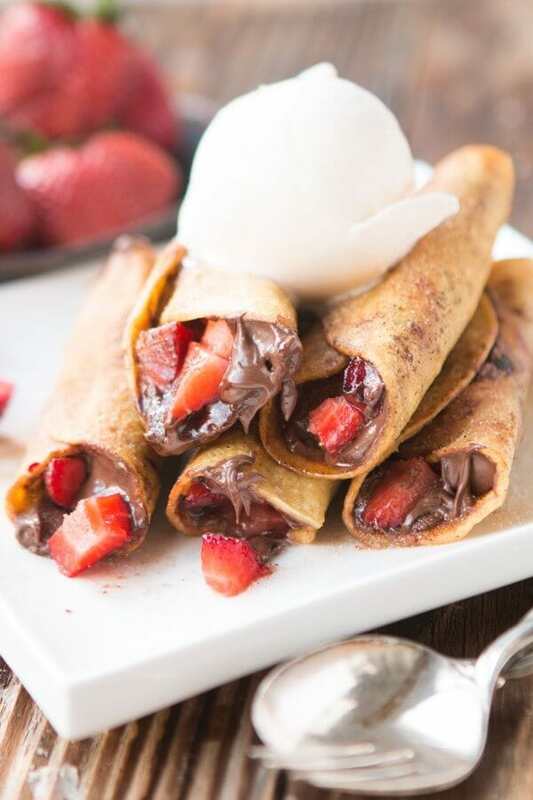 That melty nutella busting out of these taquitos has got me craving nutella more than ever. These are magical. Pinned! I’m glad we aren’t alone because I seriously feel like I’m the only one! « Previous PostThe Secret is Out!